David Lemmond is the new GM at San Francisco's Hotel Vitale. 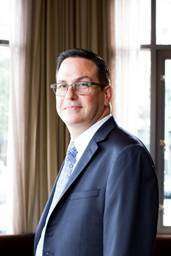 SAN FRANCISCO—Hotel Vitale, a Joie de Vivre hotel, appointed David Lemmond general manager of the luxury waterfront hotel. A veteran hotelier of luxury properties who brings two decades of experience to his new role, Lemmond served as a member of André Balazs Properties for 15 years. Lemmond previously oversaw the flagship The Standard, High Line in New York City and was the GM of The Standard, Downtown LA and The Standard Spa, Miami Beach. Lemmond’s management extends to Chamberlain, West Hollywood, Viceroy Santa Monica and Shutters on the Beach in Santa Monica, CA.